A former member of the Funcinpec Party has launched a complaint with the Anticorruption Unit, accusing Deputy Prime Minister Nhek Bun Chhay of accepting bribes from a Chinese telecommunications company. Bun Tha, publisher of the Khmer Amatak newspaper and a member of the central committee for the Norodom Ranariddh Party, filed the complaint with the ACU yesterday. Bun Tha’s complaint is based on contract documents circulated earlier this year that detail an alleged transaction between Nhek Bun Chhay, who also serves as secretary general of Funcinpec, and an anonymous Chinese firm. The documents, copies of which were obtained by The Post, include a contract dated June 7, 2008 stating that Nhek Bun Chhay and a company acting on his behalf obtained a 3G telecommunications license from the government that they agreed to transfer to a Hong Kong-based firm. This firm was apparently created as a joint venture between Funcinpec and the unnamed Chinese company, according to the contract. The alleged contract states that Nhek Bun Chhay agreed to “bring into full play of [his] influence and power as General Secretary of Funcinpec Party and deputy prime minister of [the] Kingdom of Cambodia to ensure [the Chinese company] will obtain license and approval” in the telecoms sector and in a variety of other business endeavours. A separate receipt document, dated August 12, 2008 and allegedly signed by Nhek Bun Chhay, says Funcinpec received US$5.8 million in the transaction. “This can be a basis for the ACU to investigate, research and raise other issues relating to corruption,” Bun Tha’s complaint reads. Earlier this year, Bun Tha published articles on the documents on his newspaper, prompting Nhek Bun Chhay to file a disinformation complaint against him last month. Municipal court deputy prosecutor Hing Bun Chea said Bun Tha had been summoned to face questioning on Friday in relation to the case. Nhek Bun Chhay denounced the contract as a forgery and denied having accepted bribes, though he acknowledged signing the receipt document. Also appearing on the receipt document is the business card of Joe Heng, an associate partner at the auditing firm Baker Tilly Monteiro Heng, which has offices in Phnom Penh. Heng said yesterday, however, that he had never seen the document and had not been involved in the transaction. An experienced observer of the telecoms sector, who asked not to be quoted directly, also raised questions about the documents in the complaint. 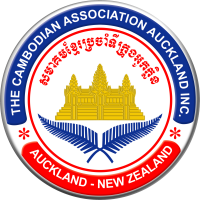 He noted that while it would not be unusual for foreign companies doing business in Cambodia to be asked to make payments to government officials, it would be extremely unusual for this arrangement to be enshrined in a contract, as contracts for illegal activity cannot be ruled on by courts. Bun Tha said yesterday that he was unconcerned by the disinformation case against him and was confident that he had the evidence to prove Nhek Bun Chhay’s guilt. “I am not afraid to appear [in court], so please go ahead and do this,” he said. Funcinpec has been wracked by divisions since the return to politics last year by Prince Ranariddh, who has vowed to lure defectors from the party to his NRP. Last month, the NRP’s Phan Chantha, formerly a Funcinpec central committee member, accused Nhek Bun Chhay of improperly mortgaging Funcinpec headquarters in Phnom Penh and later selling the property for $3.85 million without consulting the rest of the party’s leadership.